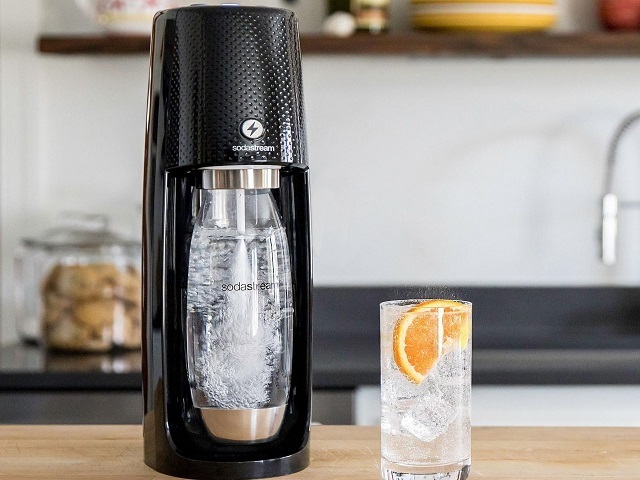 With SodaStream's home drink makers, transform ordinary tap water into fresh, great-tasting soda by adding fizz (in the form of carbon dioxide from a soda carbonator) and flavor (one of over 100 concentrate syrups.) The SodaStream system enables consumers to carbonate water and to flavor carbonated beverages at home as an alternative to purchasing pre-packed bottles or cans. It's easy to refill or purchase new carbonator bottles at a local retailer. Make drinks just the way you love them… more bubbles, less bubbles, sweeter or lighter, even create your own flavor!